Light siam color. Candied aromas and flavors of strawberry taffy, scented toy, and fruit cup with a satiny, vibrant, effervescent, sweet light-to-medium body and an effortless, easy finish that presents notes of lychee. A fun and spritzy beverage to take to the pool or beach. Bottom Line: A fun and spritzy beverage to take to the pool or beach. 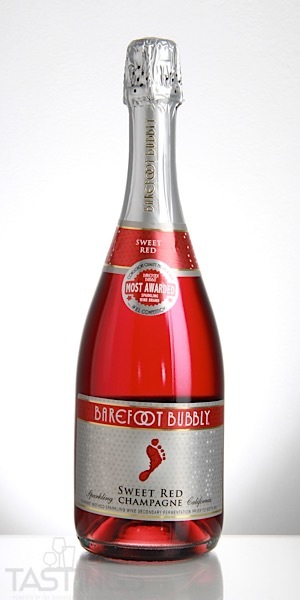 Barefoot Bubbly NV Sweet Red Sparkling, California rating was calculated by tastings.com to be 84 points out of 100 on 9/21/2018. Please note that MSRP may have changed since the date of our review.